The Baltimore Marriott Waterfront, offers waterfront relaxation in the heart of Baltimore. A terrific location in downtown's bustling Harbor East district, just steps from top-quality shopping and dining. Hotel room rates are subject to applicable state and local taxes, currently 15.5%. 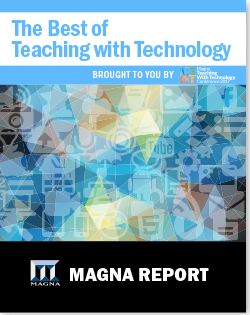 Mention the "Magna Teaching with Technology Conference" to receive the reduced rate. Reservations must be made on or before Wednesday, September 13, 2017 for the reduced rate. Reservations must be accompanied by a first night room deposit or guaranteed with a major credit card. Rates will be available 3 days prior and 3 days after the conference dates, based upon availability. Hotel check in is at 4:00 pm and hotel check out is at Noon. The closest airport for this conference is the Baltimore/Washington International Thurgood Marshall Airport (BWI) which is about 12 miles from the hotel. Taxis are available outside of baggage claim. The average fare to the hotel is $35-$45. Please refer to the hotel web page for more transportation options.